Rick has been a professional guitarist for over fifty years. He has performed publicly since age 10 eventually served in the U.S. Navy Music Program as a staff guitarist, conductor and assistant band director. 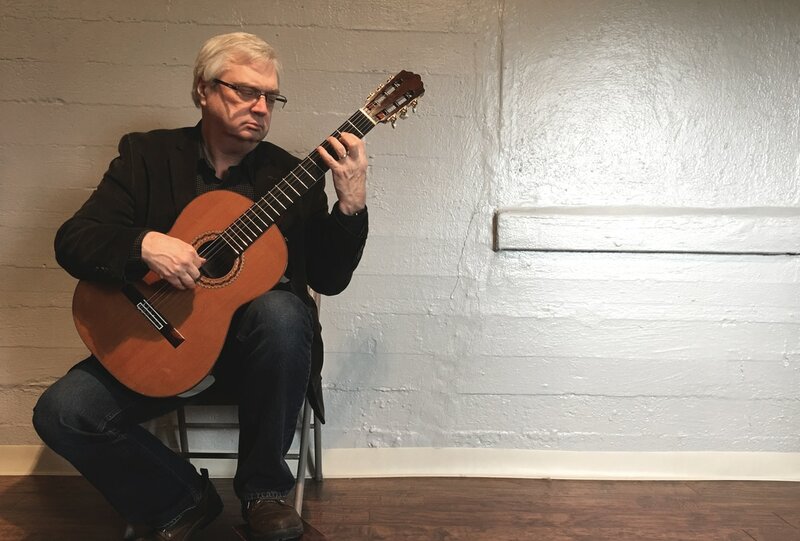 He has performed throughout Europe, Africa, South America, Canada and the United States on classical guitar and in contemporary and jazz ensembles. His guitar artistry provided him the opportunity to represent the United States at State Department sponsored diplomatic functions and recitals hosting Presidents, high-level dignitaries and their guests from the United States and abroad. After retiring from the U.S. Navy Music Program he founded Washington Academy of Music. In addition to overseeing business operations he is a working musician with an active schedule of recording, teaching and curriculum development. Rick holds advanced degrees from The University of the State of New York, Excelsior College and the U.S. Navy School of Music (Advanced Course). He is a Founding Teacher of the Music Development Program in the United States, a Certified Guitar Teacher of the Royal Conservatory of Music and serves as a Presiding Officer for the Assessments and Examinations of The Royal Conservatory of Music.